Alison Head, International one semester student. Alison volunteered with the Milford Run/Walk on January 28th 2018. Alison is making the most of her time here in UL and will be volunteering throughout the semester. Alison will be volunteering towards a Plassey PVA! Good Luck Alison! 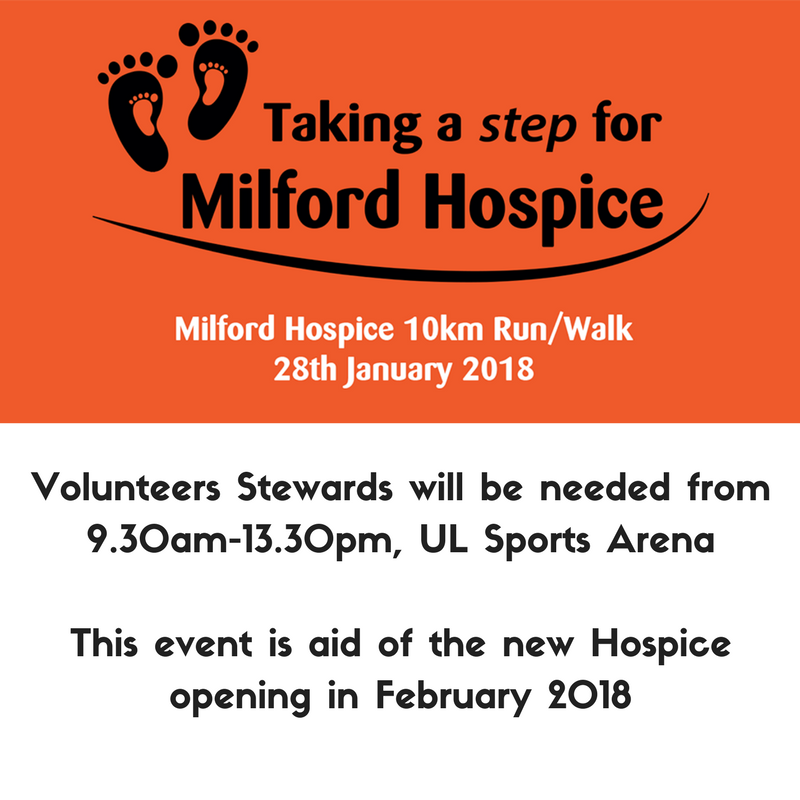 'I volunteered yesterday with the Milford Hospice 10 km Run/Walk. As a runner back home, I was interested in helping out with this charity run because it was for a great cause, and because I love to see people come together and be active. When I arrived for my volunteering shift the ladies I met were so welcoming and helpful. I was helping with registration and we had a great system going: I found the race numbers while another volunteer checked off the participant's name, since I am not used to Irish names yet. The participants were very kind and always said thank-you. I am happy to report that €30k was raised for the Milford Hospice yesterday, and that the new Hospice will be opening in two weeks. This experience was a great way for me to help out and meet members of the community, despite only being in Ireland for a couple of weeks. I will definitely sign up for more volunteering opportunities! Thank you Gabriella and team again for your help'!